Sacha Killeya-Jones transferred to NC State back in May; today, he opened up about his decision to leave Kentucky in an interview with The Athletic’s CL Brown. Killeya-Jones, who will sit out this season per NCAA rules, said he doesn’t regret his time at Kentucky because it made him a better player, but admitted the fishbowl lifestyle in Lexington grew old. Killeya-Jones recalled some fan interactions that went over the line, including the Louisville fan that tweeted him a picture holding a gun up to a UK stuffed animal after his signing class posed with Ls Down at the McDonald’s All-American Game. That’s an extreme example, but Killeya-Jones said he’s enjoying being out of the spotlight in Raleigh. As John Calipari says, Kentucky’s not for everyone. Best of luck to Sacha at NC State. It’s tough when you’re soft! Maybe re-read the next to last sentence. Preferring to have a personal life that is private from the fans and media has nothing to do with being soft. Agree, with all this. Best of luck to him, and if his goal is for no one to recognize him, and maybe one day sell insurance or be a realtor, NC State is a perfect fit. That statement is a little strong for me, but it’s got a lot of truth too. If he were to become a star in the NBA he would get a lot of the same attention he got at UK. Wishing him luck! Always a Cat just like Wiltjer, Towles, etc. When the going gets tough, transfer to NC State??? I’ll always be a SKJ fan. Always seemed like a good kid and teammate. Wasn’t he supposedly thinking about playing for UNCheat? I can’t imagine their fans would be much different. Maybe that’s why he didn’t go there. Omg. People know me and im semi famous… really, thats his complaint?!?!? Seems to me he didnt have the confidence with himself attribute that one needs in order to achieve greatness. Recruits if they read this, should be like hell yeah! Ill be famous in Lex and get all the chicks i can handle. I’m hoping they’re a little more down to earth, more mature, and not as shallow…for their sakes. Wow, your have a really shallow & hollow outlook on life. How many times will this be used against UK in an attemptto attract players who don’t like the extra attention when they are out with friends, etc.? I remember seeing UK players in Maui in 2011 who were simply trying to enjoy the pool but couldn’t because of fans wanting autographs and/or pictures. Some players just aren’t ready for the limelight. I remember a former All American player at UK saying the attention, large crowds, practicing against tough competition, being a target of every team on their schedule, etc. really helped him prepare for the next level. Which is what most players want. At least Killeya-Jones took a shot at UL. The guy just never looked comfortable on the court so it makes a lot of sense that he didn’t like the “attention”. Wish the kid the best of luck. Hopefully he can feel more comfortable at a small school that doesn’t care as much about basketball. KSBAR NEVER ANSWERS THE PHONE!!! Are you all reserving tables for games yet? if he doesn’t like the spotlight i assume he as no aspirations of the NBA where it’s equal or more attention than kentucky and will be done with basketball after NC State. just my take. First world problems. Like Cal says, Kentucky isn’t for everyone. 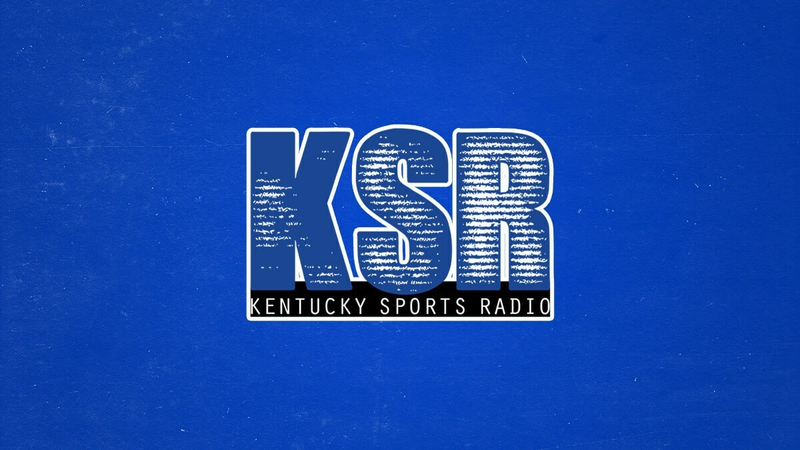 Best of luck to SKJ, but I doubt he will ever see the NBA. That’s actually a huge positive if your goal is to play in the NBA. Every NBA player gets attention off the court, and obviously the stars get massive attention, so it prepares you for that. UK is the best place to prepare for the NBA when considering all on and off the court factors. But maybe that’s not his goal anymore though. If not, then I can understand his motive. If the guy ever makes the league, he’ll just pay some guys to keep people away from him. No big deal when you’re making BIG money. I said, IF.